The archivist’s job can sometimes seem similar to that of a detective. 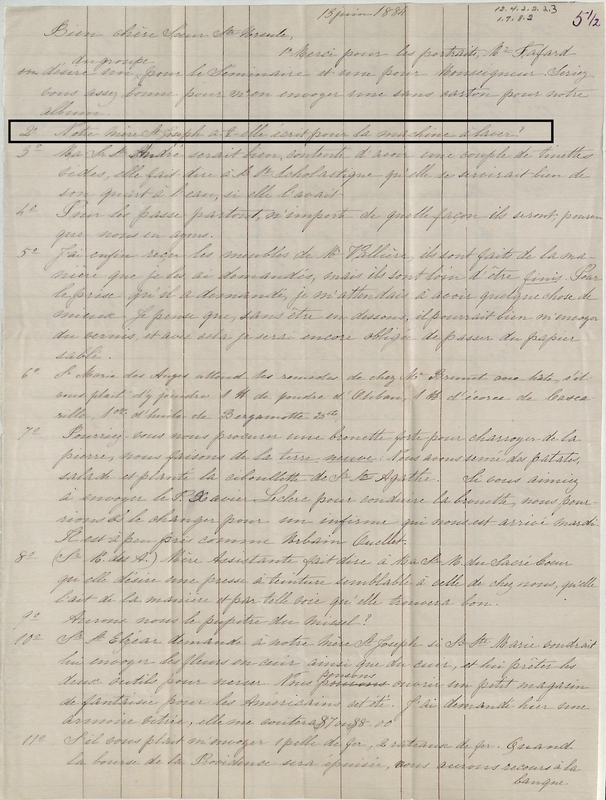 In fact, some archive documents provide researchers with a lot of twists and turns, especially when the information is scattered throughout several documents. Therefore, an investigation is required. To illustrate this phenomenon, here is a simple—but revealing—example of research conducted by archivists Audrey Julien and Annie Labrecque. They traced the journey of a washing machine from letters written by the Augustinians in the 19th century. This text is a collaboration between Audrey Julien, Annie Labrecque and Hugues St-Pierre. The search for the washing machine began with the reading of a first letter signed by Sister Saint-Gabriel, superior of the Hôtel-Dieu de Chicoutimi. It was dated June 13, 1884, and was addressed to Sister Sainte-Ursule, depositary of the Hôpital général de Québec. Sister Saint-Gabriel sent her requests in bullet points. In point 2, she questions Sister Sainte-Ursule at the Hôpital general, to find out if her superior, Sister Saint-Joseph, wrote to her about a washing machine. 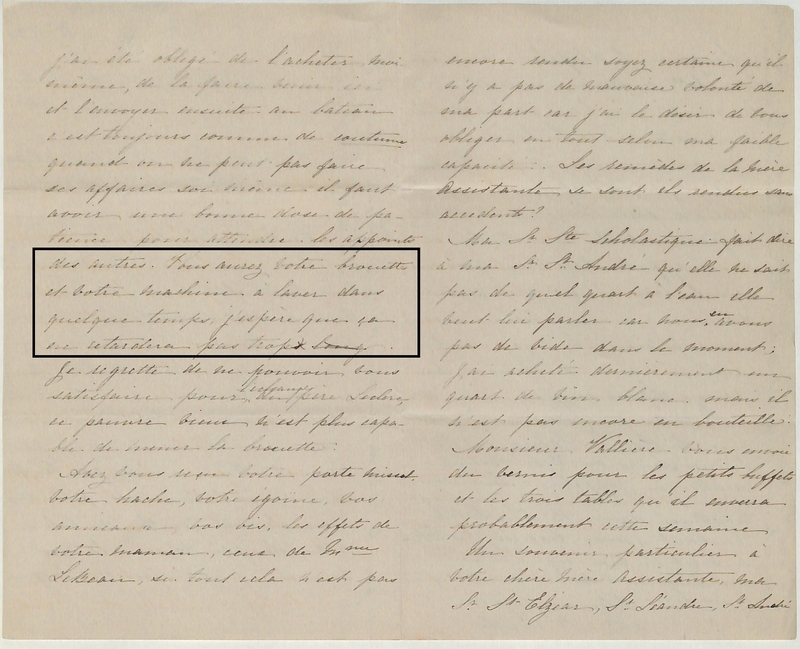 Letter from Sister Saint-Gabriel from the Hôtel-Dieu de Chicoutimi, dated June 13, 1883. Extract from a letter dated June 19, 1884 from Sister Sainte-Ursule of the Hôpital général. 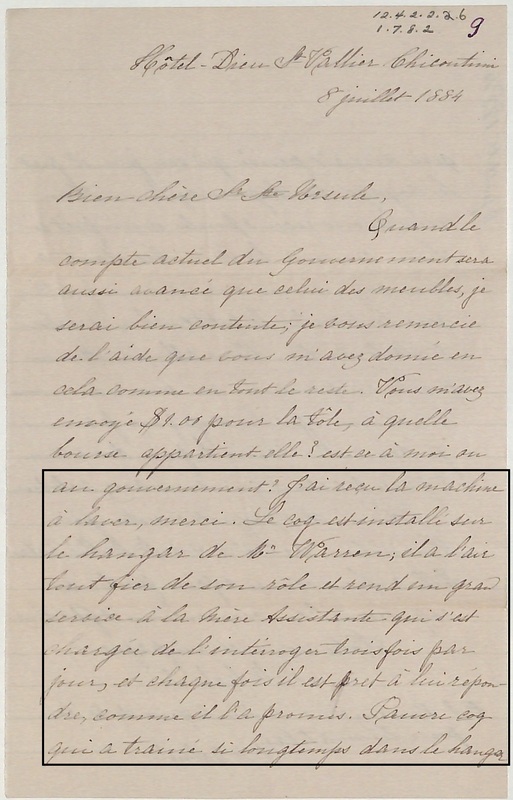 In a third letter from Sister Saint-Gabriel, dated July 8, 1884, it can be read that the said machine was indeed received: “I received the washing machine, thank you.” This letter is relatively similar to the first one cited, in the sense that the nun sticks to the basic facts, passing from one subject to another. Moreover, the rest of the letter details receipt of a rooster. The archivists tried, in vain, to understand the nature of this information. Was it about a real rooster or a weather vane? The future may reveal this to us when the archives from the monastery of the Hôtel-Dieu de Chicoutimi are fully processed. Letter of July 8, 1884 from Sister St-Gabriel of the Hôtel-Dieu de Chicoutimi. Analyzing and interpreting correspondence can be difficult, since for modern-day readers, an important element is often missing: the context of the writing. For the letters’ authors, the subject of the exchange is known and normally understood. In the case of the washing machine or even the mysterious rooster, some facts are unknown. We can therefore only state summary hypotheses. At least, in this very specific case, we know only that there was talk of a washing machine and that it was delivered safely to Chicoutimi. In other cases, the context is easier to follow. For example, when an archival document mentions a particular event in the history of the community or country (such as in the case of a pandemic or a fire), there is more room for deduction, but also for understanding. 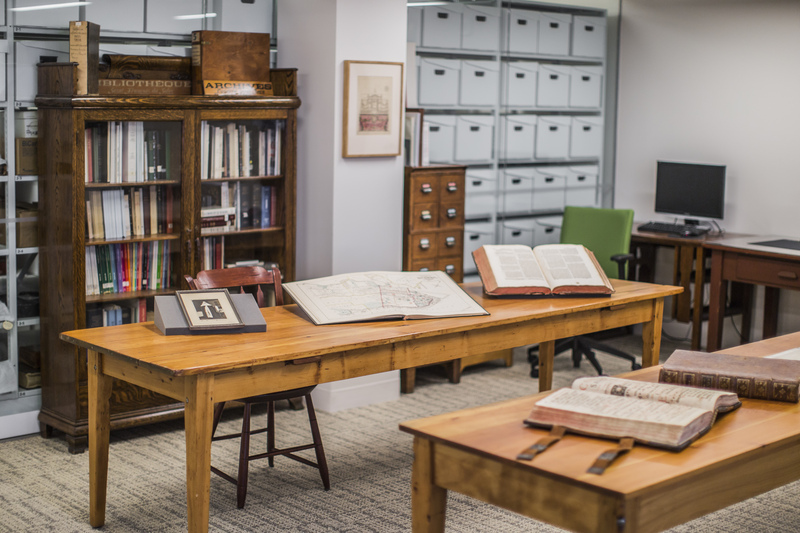 Explore nearly 32,000 pages or digital photos on the Centre d’archives du Monastère des Augustines website by clicking here!